S​tart your search in the UC catalog and move on to OhioLINK for additional borrowing options. 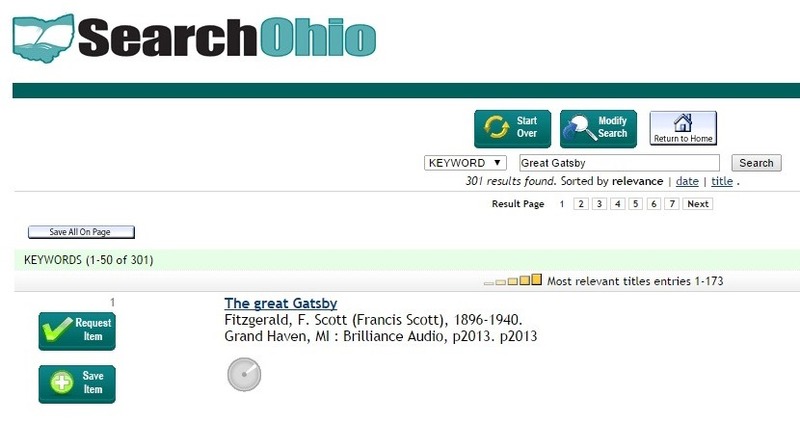 If OhioLINK doesn’t have the title you’re looking for, click the SearchOhio button in the catalog search results to check availability​. 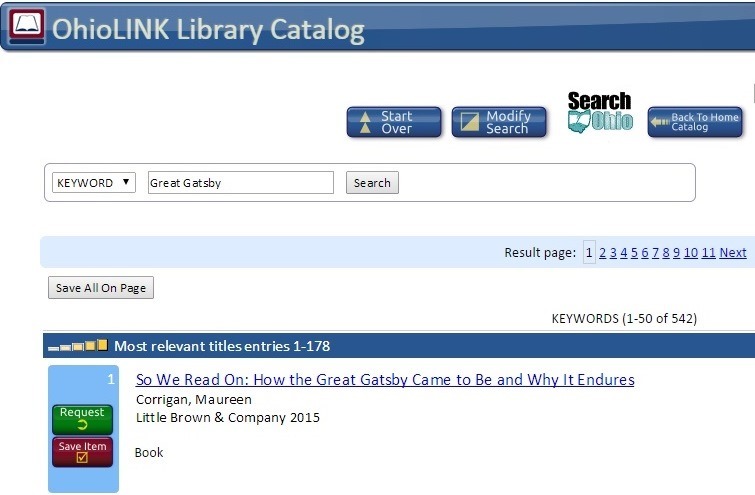 If another library owns an available copy, select the “Request Item” button and follow the prompts. STEP 1: Search for an item in our catalog. If you can’t find it or all the copies of the item you’re interested in are unavailable, select the OhioLink button to expand your search. STEP 2: If you can’t find it or all the copies of the item you’re interested in are checked out, select the SearchOhio button to expand your search to their catalog. STEP 3: When you find the item you’re looking for click the “Request Item” button and follow the prompts for your library affiliation (U of Cincinnati), your login information (UC ID and Central Service Password) and desired pick-up location. That’s it! You’ll be notified when your item is ready to be picked up. Click here​ to learn more about borrowing and returning SearchOhio items. Questions or problems? Contact the Library by phone at 513-745-5710 or email. Please note that the Library Catalog (UCLID) will be offline on Monday, November 11, 2013 from 7:00 am to 12:00 pm for scheduled maintenance. All applications will be offline, the Online Public Access Catalog and Sierra. Users can connect, via OhioLINK to access UC online resources. Please note that ILLiad, the Interlibrary Loan service, will be unavailable 8am to approximately 12pm on August 20 so that the ILLiad server can be upgraded. We apologize for any inconvenience. Langsam Library to Offer Extended Hours until 2am. After the regular Langsam hours listed below, library space only will be open for students to study until 2am during midterms. To enter the library after the regular closing time, students must do so via the 5th floor UCit@Langsam card-swipe entrance (a valid UC ID is required). Continue reading Need More Time to Study for Midterms? Need to Charge Your Cell Phone? New goCharge Mobile Charging Station located in Langsam Library will keep you powered On-the-Go. The free mobile device charging kiosk located in UCIT@Langsam allows students, faculty and staff to securely charge Apple and Android devices for free. Continue reading Need to Charge Your Cell Phone? Stop by the 4th floor of Langsam Library on Wednesday, January 30, from 1pm – 3pm, and join UC Libraries and the Senior Vice President for Academic Affairs & Provost at an Open House for the Student Technology Resources Center (STRC) and Adaptive Technologies Office. The event will highlight the recent renovation to the space and the services and technologies available in both areas.